Graham: "God help anybody else who gets nominated"
Republican Sen. Lindsey Graham, a member of the Senate Judiciary Committee, told reporters during a recess in a committee hearing that Democrats "better watch out" for their nominees if Supreme Court nominee Brett Kavanaugh is confirmed. Dr. Christine Blasey Ford and Kavanaugh are testifying before the committee today to discuss Ford's allegations of sexual assault against Kavanaugh. He railed against Democrats, suggesting that they were drawing out the vote on Kavanaugh in hopes of stalling beyond Election Day, in the hope that they could recapture the Senate and deny Kavanaugh the Supreme Court seat. "Let me put it this way to my Republican colleagues. If this becomes the new standard, where you have an accusation for weeks, drop it right before the hearing, withhold from the committee a chance to do this in a professional timely fashion -- when they publicly say that their goal is to delay the vote get the Senate back in 2018 so that he can't get the seat -- I don't want to reward that kind of behavior," Graham said. He told reporters, in a message to his Democratic colleagues, "If this is the new norm, you better watch out for your nominees." Ford testified before the committee on Thursday morning, telling senators that she was "100 percent" sure that Kavanaugh was the person who assaulted her when they were both teenagers. She also went into detail about how the alleged assault occurred. Democratic senators questioned Ford directly, while Republicans delegated their questions to an appointed prosecutor, Rachel Mitchell. Graham told reporters that he had not been convinced by Ford's testimony, because she was vague on details such as where and when the party took place. He also said that he didn't believe an FBI investigation into the allegations would serve any purpose. "An FBI investigation's not going to tell you who to believe, where did they go, what house did they go to, what date did they look at, how in the world do you investigate something this uncertain," Graham said. "Everybody who actually knows [Kavanaugh] in a real way says 'this is not the guy I know.' 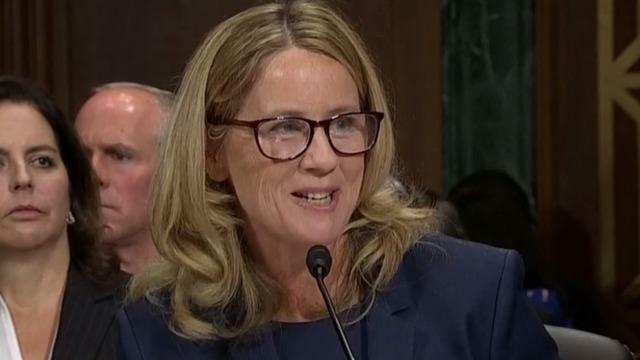 I got Dr. Ford who can't tell me the time and place and we'll see what happens." Graham also met with reporters after Ford concluded her testimony. He suggested that the hearing was politically motivated, especially since it is so close to the midterm elections. "I feel ambushed as the majority," he said.